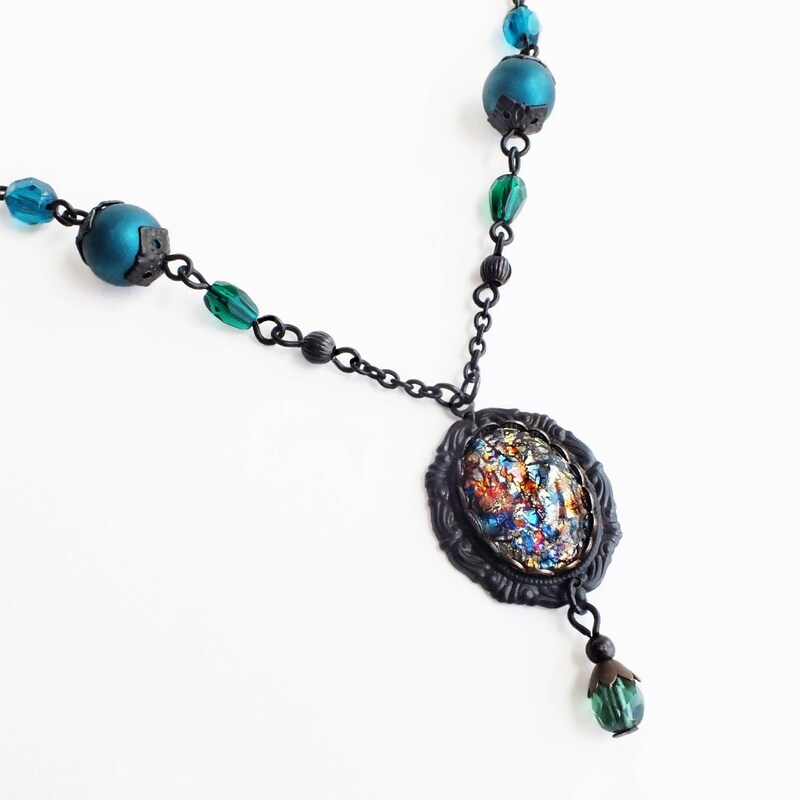 Handmade rainbow fire opal necklace with green and teal beaded vintage rainbow glass opal pendant. 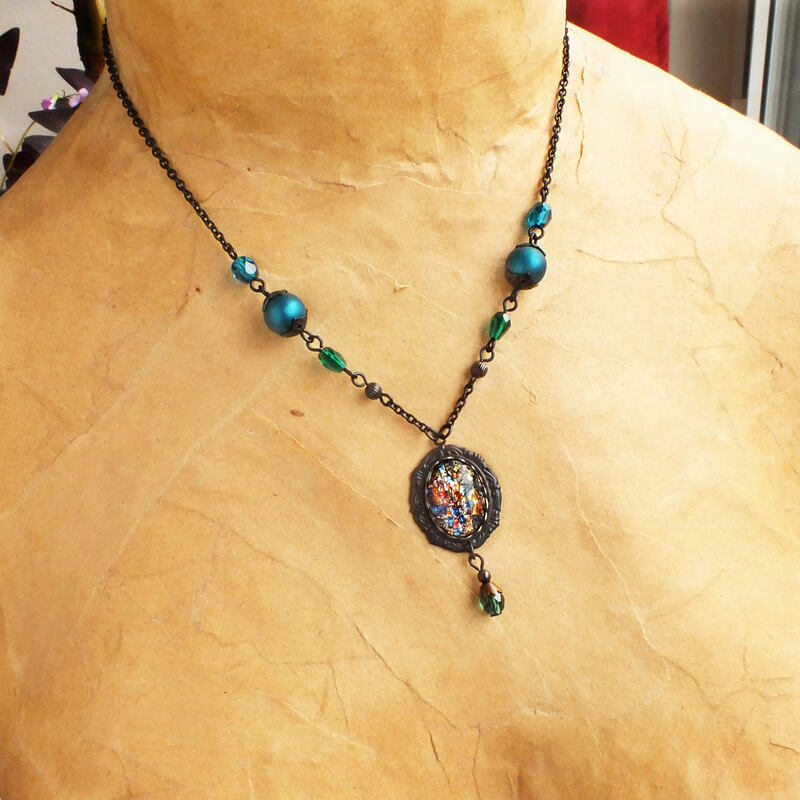 Genuine vintage glass cabochon and Lucite beads. 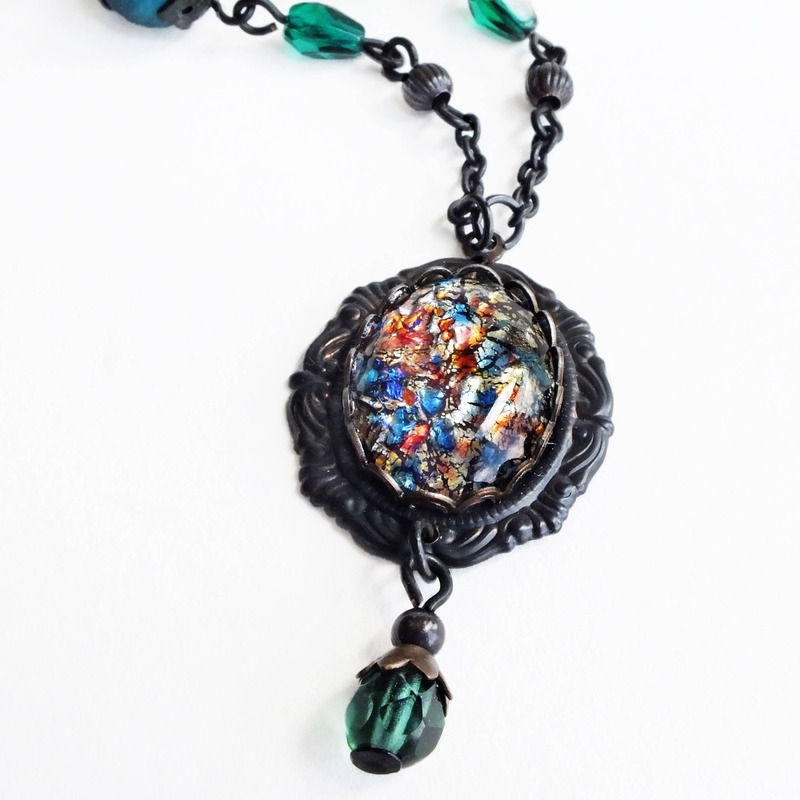 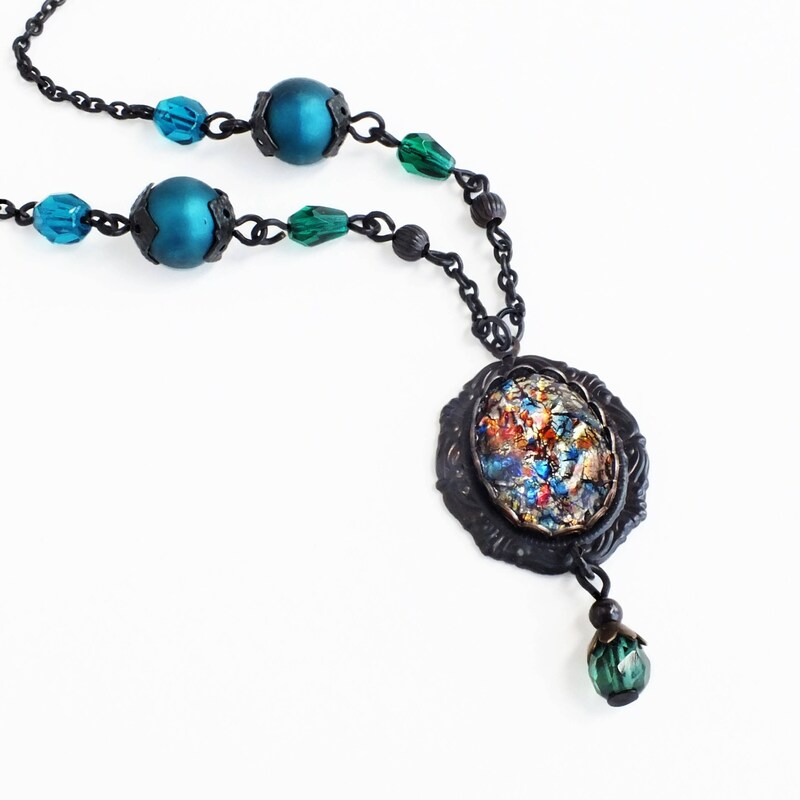 Made with a vintage multicolored glass fire opal cabochon set in a dark matte black Rococo setting adorned with a small Tourmaline green Czech glass drop. 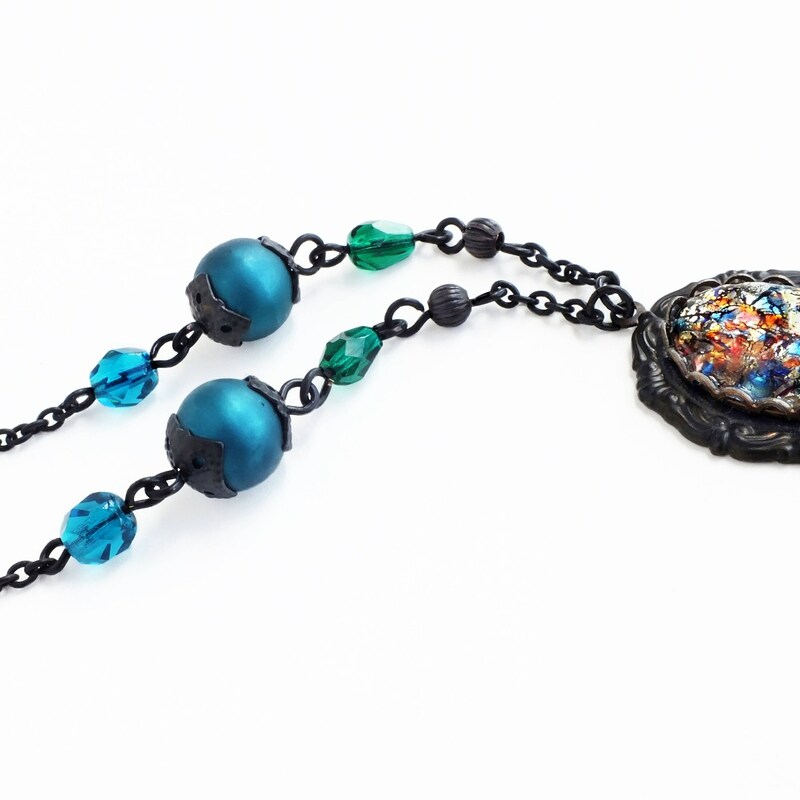 Hung from a delicate oxidized brass chain of new and vintage green and teal beads.